My son has started his basketball season and I find myself a mess during basketball games. I could handle soccer, but the stress of basketball leaves me with my hands covering my eyes and generally not being a positive vision as a spectator. I decided last night that I need something to occupy my hands so that I can keep them away from my face. It also needs to be portable so that I don't have to drag around something large. I've decided to use the Wobbly Pattern (my favorite) to create something I can crochet without having to think too much. 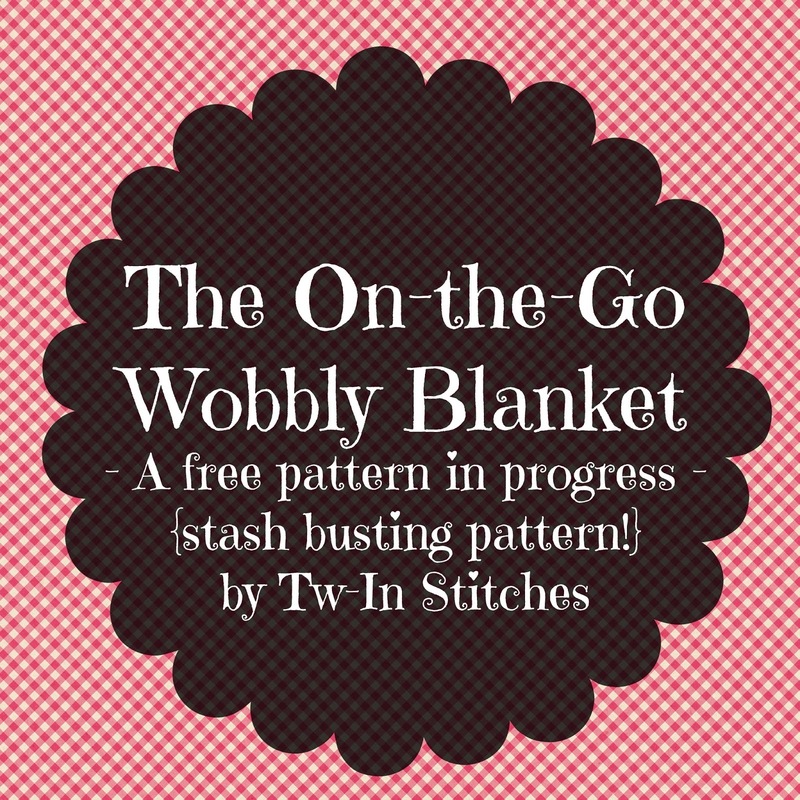 Last year, I made this blanket by crocheting strips of Wobbly stripes and joining them using the flat braid join. I've decided to actually write down the pattern this time and make it into something with lots more color. This is very much a pattern in progress and I will update it as I go. 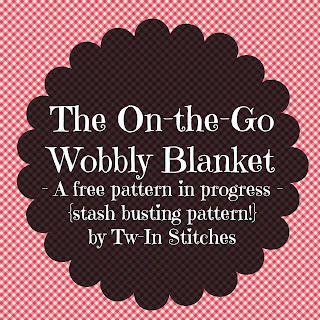 For now, the plan is to make this in a baby blanket size. To make this blanket, I am going to start by making 5 panels in different colors. Row 1: DC in the third chain from the hook. Chain 1. *Begin a dc2tog in the same chain, skip one chain, complete the dc2tog in the next chain. Chain 1. * Continue from * to * across. To complete the row, crochet one final dc2tog without skipping a chain between the dcs. Chain 3 and turn. Row 2: DC in the first chain 1 space. Chain 1. *Begin a dc2tog in the same space and complete it in the next chain 1 space. Chain 1. * Continue from * to * across. To complete the row, begin the last dc2tog in the last chain 1 space and complete it in the top of the chain 3 from the first row. Chain 3 and turn. Row 3: DC in the first chain 1 space. Chain 1. *Begin a dc2tog in the same space and complete it in the next chain 1 space. Chain 1. * Continue from * to * across. To complete the row, begin the last dc2tog in the last chain 1 space and complete it in the top of the turning chain of the previous row. Chain 3 and turn. Rows 4-42: The rest of the panel is super simple! Just repeat row 3. If you would like your blanket longer, continue row 3. Thank you, Claire! I feel the same way. It is such a comforting pattern.